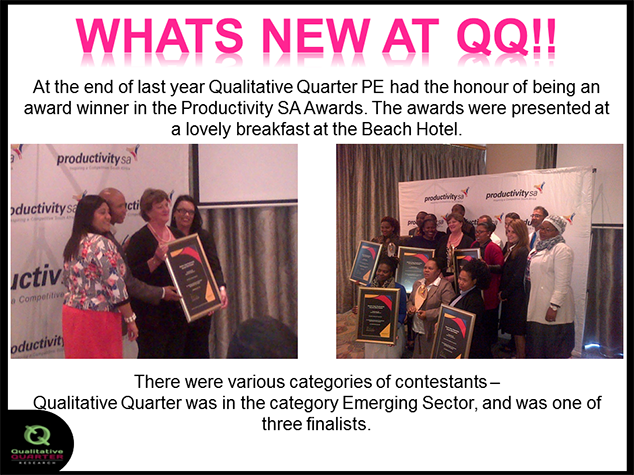 At the end of last year Qualitative Quarter PE had the honour of being an award winner in the Productivity SA Awards. The awards were presented at a lovely breakfast at the Beach Hotel. Qualitative Quarter was in the category Emerging Sector, and was one of three finalists. 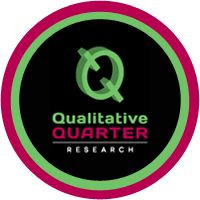 © 2012 - 2017 Qualitative Quarter | Designed with ❤ by Melissa of Fox & Owl Media.